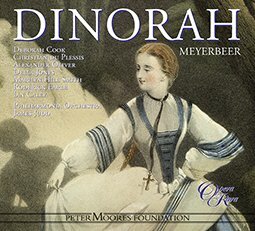 Meyerbeer came from a family of wealthy Jewish bankers. 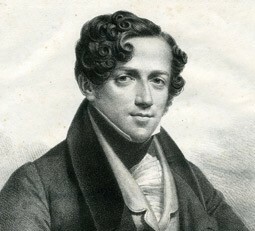 Born in 1791 in Berlin, he studied under Abbe Vogler (Weber was a fellow student), developing into an accomplished pianist. 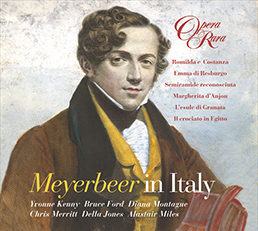 Meyerbeer’s first attempts at writing opera met with failure and, taking Salieri’s advice, he moved in 1816 to Italy, where his career took off. Within months he had written the first of six Italian-style operas and found himself being compared with Rossini. 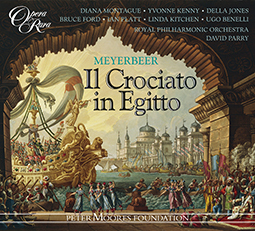 In 1824, the triumph of Il crociato in Egitto (available on Opera Rara ORC10) took him to Paris, where he based himself until his death in 1864. He established his position as a central figure in French grand opera with a series of successes, among them Robert le Diable (1831) and Les Huguenots (1836) with their historical subjects, vast crowd scenes and lavish production values. 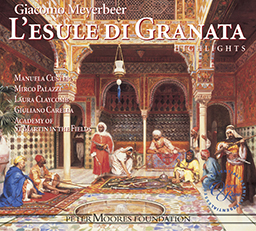 No slouch at giving the public what it wanted, Meyerbeer followed up with Le Prophète (1849), which features a skating ballet, coronation and a huge explosion. A shift of style from the broad canvas of grand opera into opera-comique saw the production of L’Etoile du Nord (1854), originally composed as a vehicle for the Swedish soprano Jenny Lind. 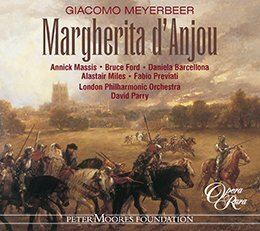 That was followed in 1859 by Le Pardon de Plo’rmel or Dinorah – the first complete recording of which was made by Opera Rara (ORC5). 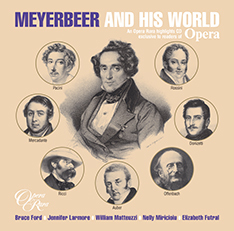 At the age of 67, Meyerbeer had shown that he could charm as well as thrill audiences.